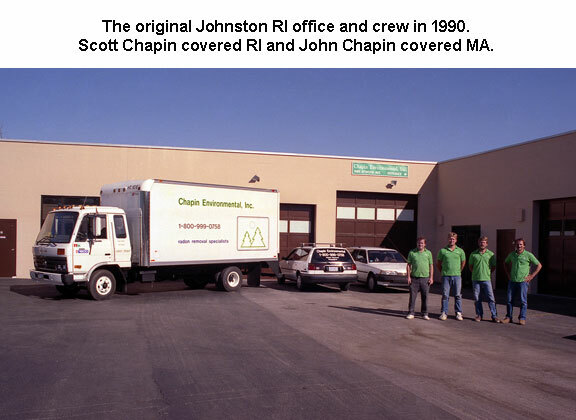 Chapin Environmental was opened in 1989 by John and Scott Chapin. The original office was located in Johnston Rhode Island and they served both the Eastern Massachusetts and Rhode Island areas. In 1992 the office was moved to Holliston MA to be closer to the majority of our customers. In the early 2000's the company became known as "RadonGuys" and launched this website. With the addition of email and mobile phones RadonGuys became more versatile and began to spend more time in the field supporting our thousands of customers and their installed radon systems. After 27 years of building a reliable and successful business, John Chapin decided it was time to move on to new ventures. In 2017 James Duffy became the principle owner of RadonGuys. Jim is a skilled tradesman who grew up in Connecticut. After high school Jim moved up to Massachusetts to launch his career in the up-and-coming tech industry. Jim successfully moved from start-up to start-up building his reputation as an innovative businessman. In 2016, after over 40 years of working in the technology space, Jim retired and began to explore new opportunities that would take him out of the corporate world. Sadly, professional fisherman wasn't going to work out as a career, so Jim set his sights on radon mitigation instead.